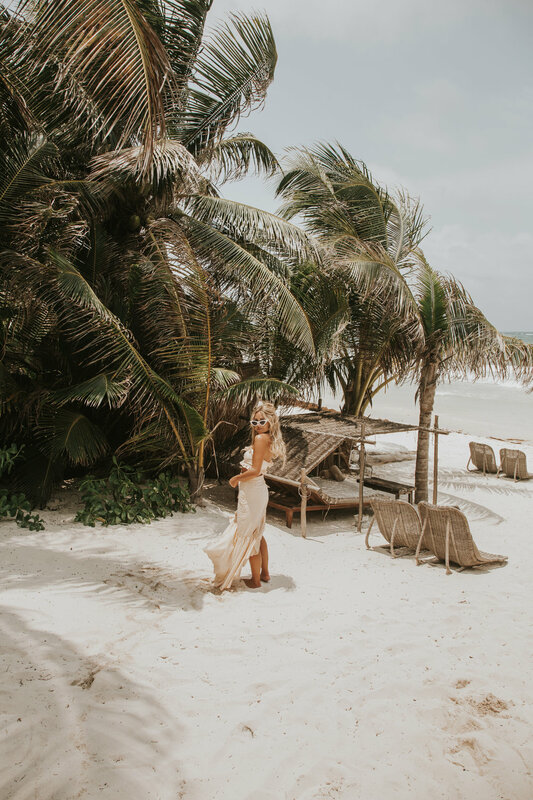 Tulum is one of my absolute favourite places in the world~ It is the perfect mix beachy and luxurious- All of the hotels are breathtaking, using nature and natural elements for design & decor. 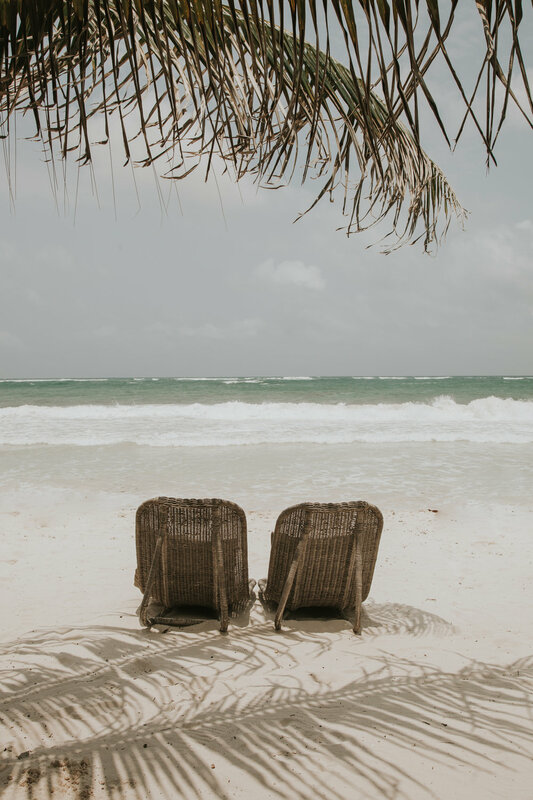 The feeling there is so happy, and the town is full of the best restaurants & coolest shops - I could go to Tulum again and again! Pablo Escobar's Mansion ~ Now Hotel Casa Malca ~ A former home of Pablo Escobar has been turned into a beautiful hotel, and it is worth a visit even if you are not staying there. The entrance is unmarked- It is almost at the end of the road (The Beach Road in Tulum where all of the hotels are located) and watch out for a big wooden gate- That is the entrance. The villa was discovered in 2003 (Escobar abandoned it) and opened as a hotel in 2015. It is now filled with really cool artwork and has an amazing entrance with a couch and two chairs hanging from wooden beams enclosed with massive curtains - So fun. 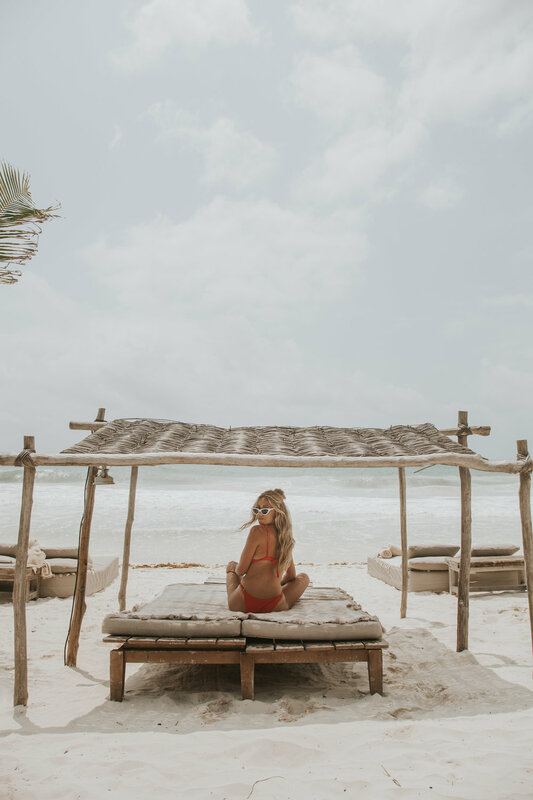 Be Tulum - This is the hotel where I stayed during my last visit to Tulum, and it is by far my favourite. 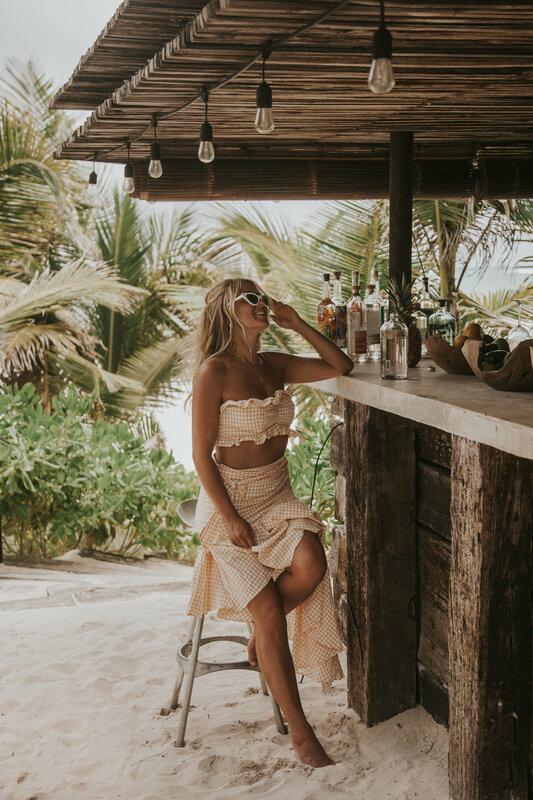 You feel as though you are a million miles away from anything, and their beach is just the best - And so are their margaritas! Nomade -Another one of my favourite places, which makes sense as it is owned by the same people as Be Tulum. If you are hungry for delicious, healthy food, this is the place to go! 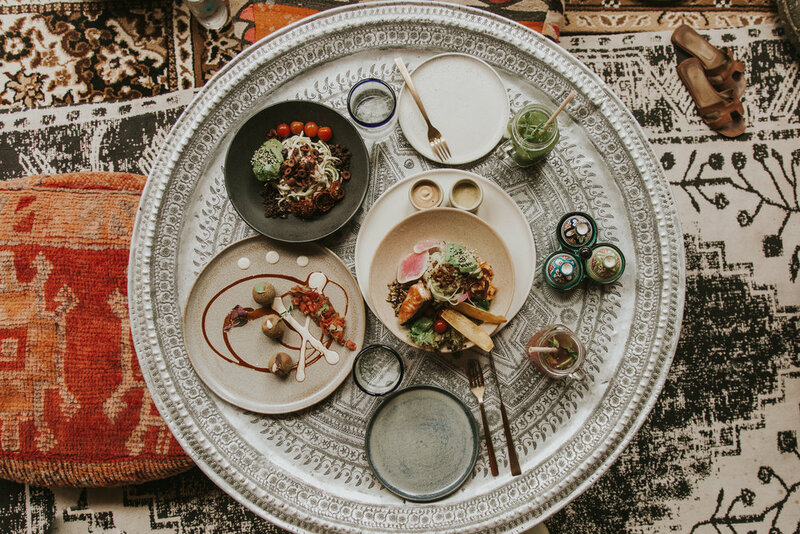 They have a beautiful beach restaurant, but they also have a very cool, Moroccan inspired covered restaurant as well, which is where we ate this time around, and it was so good. 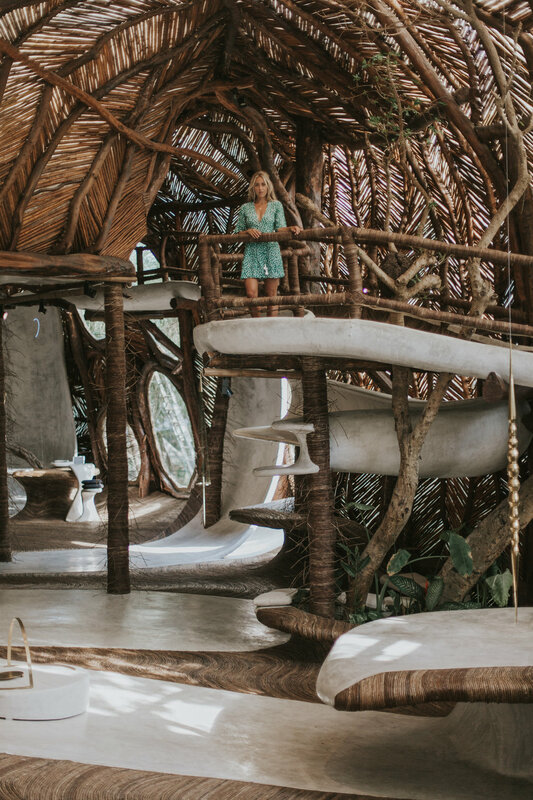 Azulik - I stayed here a few times ago on one of my visits, and it is super cool as a hotel - It feels as though you are in a tree house, and it has no power, so it makes for a fun escape. You can also visit their shop (probably the coolest store I have ever been in, with a creek running through it) and their art gallery, which are both beside the actual hotel. The door to the art gallery looks like a window, and you push thorough to get into the space. It is a must visit! They also have a super cool restaurant with nets hanging everywhere that you can sit on and enjoy a cocktail, and they have the most amazing outdoor patio that is perfect for watching the sunset! It is all really expensive, but it is worth the price of a couple of cocktails to see inside. I recommend getting there right at 530pm when they open - Now with IG, it is always busy with people trying to get the best spots for photos.